Note: This is a guest post from Morgan Statt. Morgan is a health & safety investigator who spends her time researching and writing on a variety of topics for ConsumerSafety.org Her focus is on product safety, public health issues, and trending consumer news. In her free time, she can be found discovering new music and planning her next travel adventure. Follow her on Twitter @morganstatt. When I was younger, I embarked on my weekly cleaning ritual with very minimal effort. I’d wipe down countertops, vacuum the carpeted areas of my apartment, and simply straighten up anything that appeared out of order. I didn’t give much thought to the products I was using and surrounding myself with every day. As long as my living space looked clean, it was good enough for me. Fast forward a few years, and I can tell you that I’m now whistling a very different tune. Each day, I read news stories of an increasing number of health issues being linked to products that can still be found at my local grocery and retail stores. It didn’t take me long to learn that consumer goods can pass federal regulations, yet they might also contain ingredients that pose health and safety risks. 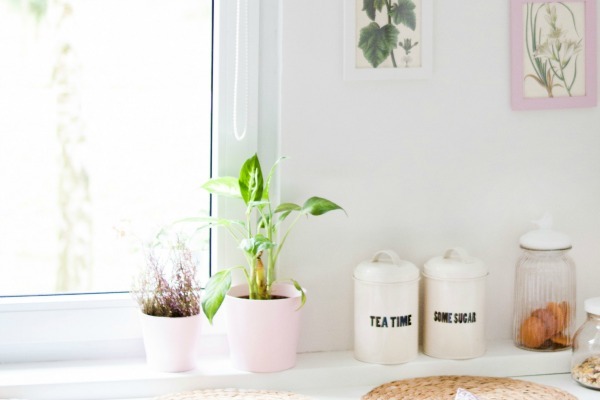 Armed with this new understanding, I’ve made it a priority to check product labels before I buy, and decluttering has taken on a whole new meaning in my home. Now, I find myself actively reading the product labels of consumer goods that I’ve already purchased. It has since become a seasonal ritual to declutter and effectively toss any products that contain ingredients linked to various health risks. It can be tedious work, but simply eliminating certain products from your life may do wonders for your health in the years to come. 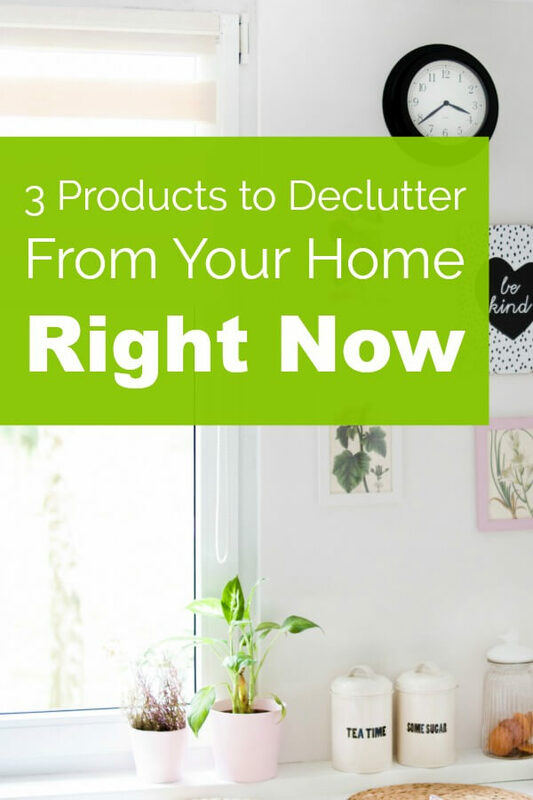 The next time you clean or declutter your own home, check for these potentially harmful ingredients that may be lurking in the products you use every day. Check for talcum powder in your hygiene and cosmetics products. Growing up, Johnson & Johnson was a staple consumer brand in my household. Johnson’s Baby products lined our bathroom shower, and its tagline of “The Family Company” couldn’t have been more accurate. I even made use of the company’s baby powder as I grew older. I was a multi-sport athlete, so it came in handy to prevent chafing and to wick away moisture during long workouts. But despite the effectiveness of Johnson & Johnson’s products, I soon learned of one glaring problem with the reputable family brand. Talcum powder, a main ingredient used in a number of its products, has been linked to ovarian cancer and asbestos exposure. In fact, 5,500 lawsuits have been filed by women who place the blame of their diagnosis on extensive use of Johnson’s talc-based Baby Powder and Shower-to-Shower products. Six out of nine major verdicts have sided with the plaintiffs, and we’ll likely see the brand embroiled in more upcoming cases. Since talcum powder was first associated with ovarian cancer in 1971, the past five decades have seen 22 out of 36 studies indicating a possible link between the mineral-based ingredient and cancer. Talcum powder isn’t just found in these two products either. It can be listed as an ingredient in deodorants, foundations, and lotions. Cosmetics products are also not required to be approved by the FDA, and there is no federal ban on the use of talcum powder in the U.S. If you plan to spend time decluttering the areas of your home where you store your hygiene and cosmetics products, consider getting rid of any items that list talcum powder as an ingredient for better health in your later years. Research your favorite wine for high levels of arsenic. If I’ve had a tough work day, one of my favorite ways to destress is to pour myself a glass of wine and watch the latest Netflix series that has captured my attention. I’m also the type of person who often purchases a bottle based on the price point. If it’s inexpensive and has a pretty label, consider it a done deal. But then I heard about a recent class-action lawsuit that was filed against 83 popular wines for containing high levels of arsenic, most of which are also at my desired low price point. The World Health Organization associates exposure to this chemical with an increased risk of cardiovascular disease, diabetes, and neurotoxicity among other health issues, and it can even be poisonous in high doses. The EPA only regulates arsenic levels found in our drinking water, yet the wines listed in the suit contained four times this legal limit. Although the issue of arsenic in the 83 wines is still being debated by both the legal and scientific communities, it has facilitated greater conversation around the lack of regulations within U.S. alcohol production. Decluttering can be as much about food and drink as it is about the miscellaneous items hanging around your house. Before you head out to restock your wine rack, check this list to see if your favorite brand was named in the suit and consider making the switch to a less toxic option. Inspect your cookware’s non-stick coating for PFAS. I’m a firm believer that breakfast is the most important meal of the day. In fact, I’m up so early every morning before work so that I can give myself time to make a filling meal. Over-easy eggs are my go-to breakfast choice, so you can often find me in the early hours of the day standing over the stove. I’ve always been so focused on the quality of the foods I eat that I never stopped to consider the health risks cookware can pose. In 1938, the nonstick coating Teflon was invented that revolutionized the cooking industry. This brand name for the chemical polytetrafluoroethylene (PTFE) soon became a household staple after its inclusion on pots and pans made cleanup a breeze. But, it was soon discovered that Teflon-coated pots and pans that spent only 2-5 minutes on a hot stove released carcinogenic toxins into the air. In 2015, over 200 scientists from 40 countries signed The Madrid Statement which presented evidence of Teflon’s toxicity. Teflon’s manufacturer DuPont has also been found guilty in several personal injury and wrongful death suits after the chemical tainted water surrounding the manufacturing plants. Although Teflon is no longer used as a nonstick coating, the EPA has ruled that similar per- and polyfluoroalkyl substances (PFAS) are also likely carcinogens. PFAS can still be found on products today, so double-check your existing cookware before you make use of them again. I certainly would add the microwave to the list. I realize it’s convenience (especially in hot weather) but all the evidence on it’s safety and the change in molecular structure of food is still inconclusive. That’s enough to make me wary. How do I find out if my cookware uses PFA’s?